The IS-BAO/Safety Library is designed for any operation that is IS-BAO registered, becoming IS-BAO registered, or proactively safety conscious. With ten online courses accessible for one full year, the IS-BAO/Safety Library is a great tool to reinforce your organization's positive safety culture. All courses are delivered entirely via the web through a self-paced, easy-to-use interface. 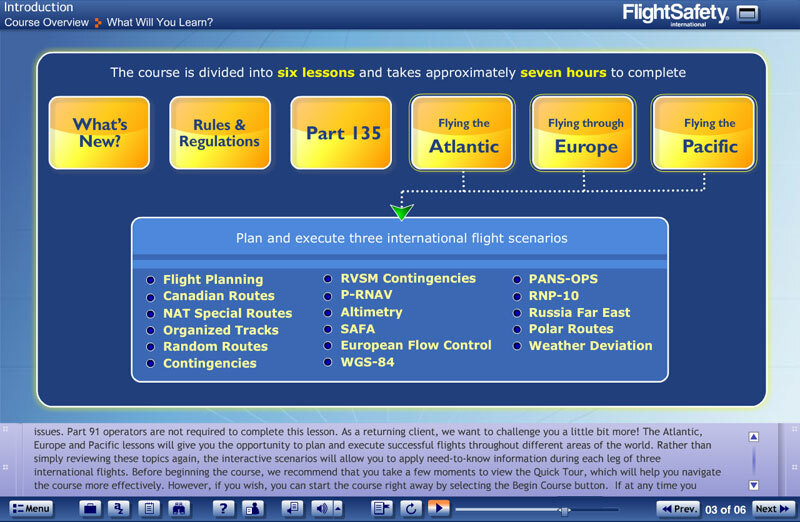 Online course tracking allows users to log on as often and as many times as needed so that our "anywhere, anytime" approach to learning can be tailored to meet the requirements of a pilot's busy schedule. After successfully completing a course and passing the examination, you are issued a Certificate of Completion. 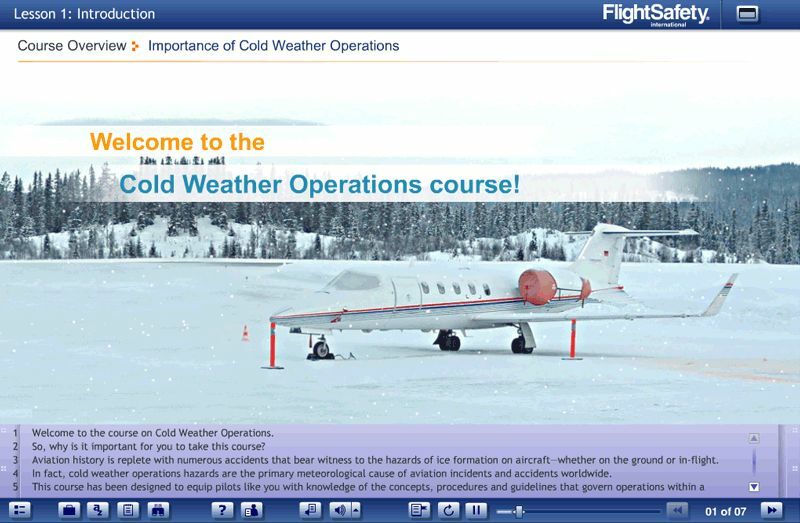 Credit: Once you have completed a course from the library and successfully passed the test, you are awarded a FlightSafety International certificate of completion. 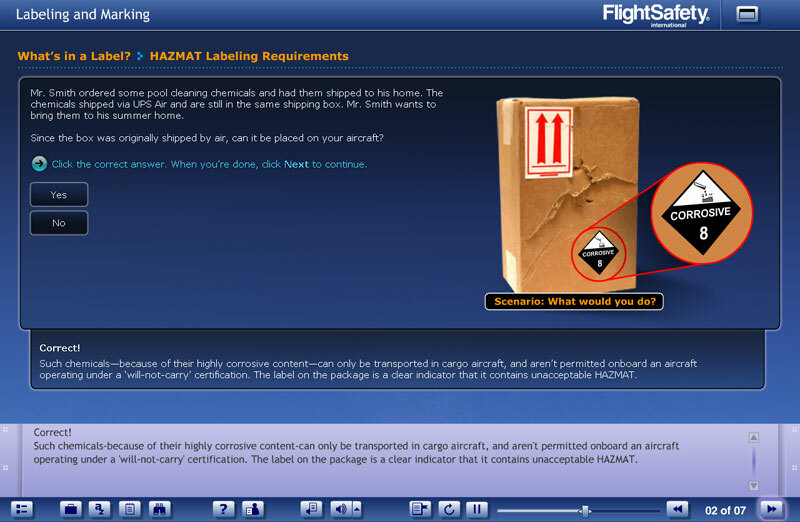 If you are an existing FlightSafety customer, you can also pick up your record of training in our myFlightSafety web portal.